So you wanna make a blanket? There are certain milestones in sewing, knitting and crocheting. There’s the first scarf that took way too long. The socks, or atleast, sock for those who lost momentum. There’s the sweater we all know and love. Then, there’s the blanket, or for fancy yarn kids, afghan. I can say with pride, I made a quilt! Yep, with my own bare hands. Well my hands, and a sewing machine, I made an adorable lap quilt for my grandma. 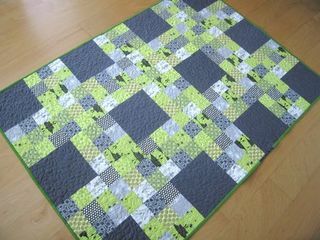 When I made it, I didn’t use a pattern, and I cheated and used some flat sheets (you know, for beds) as my solid fabric. 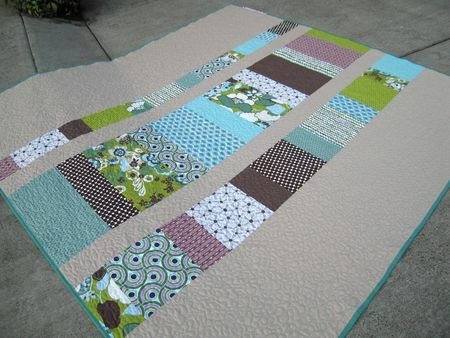 Pretty sure the most time consuming item on the quilt agenda wasn’t the squares, or even the actual quilting. Oh no, that bias tape I made specialty was quite the task! Mostly because I used all the print fabrics alternating to vamp up all that blue. For some silly reason, I’ve seem to not take a picture of the finished product. Who does that? haha. 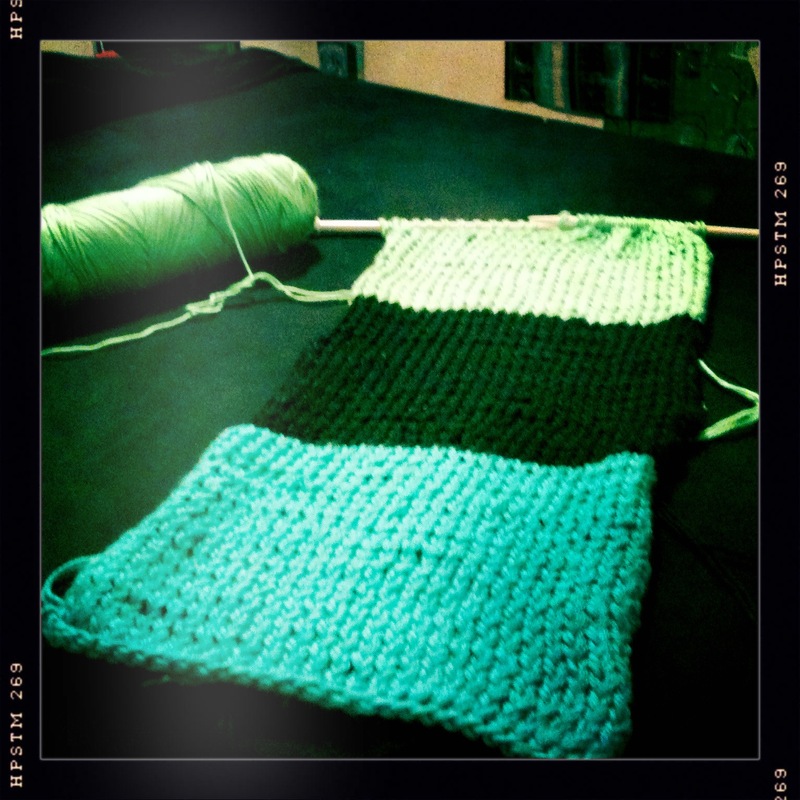 Anywho, I also started to knit a blanket. I’m pretty sure I’ve made 3 full squares now? Maybe? After it boring me (that stockinette stitch apparently does not keep my interest) I’ve finally decided I’m going to frog it and start again. Since I’ve been looking for something quick and easy, I thought I’d share some patterns you too could attempt at creating your crafting milestone! 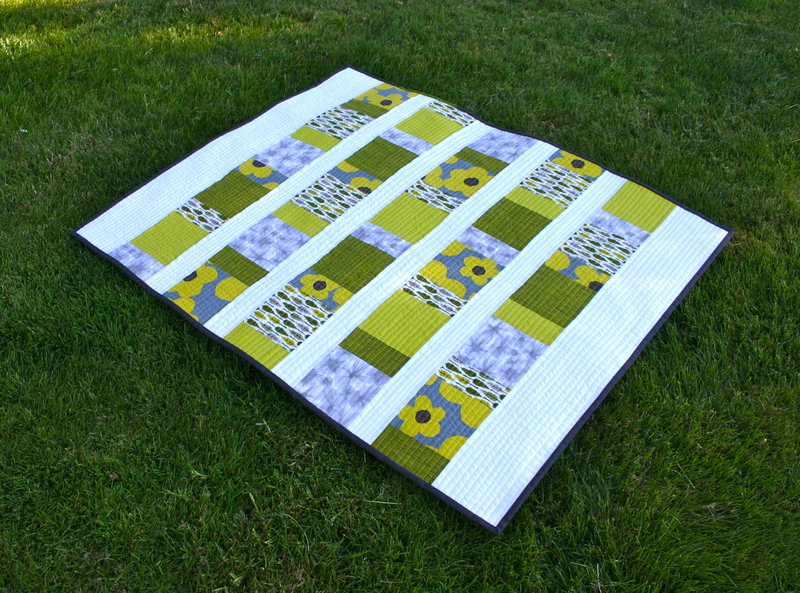 For quilts, some of my favorite blocks and patterns was from Oh Fransson! Picture Credit to Elizabeth Hartman from Oh Fransson! 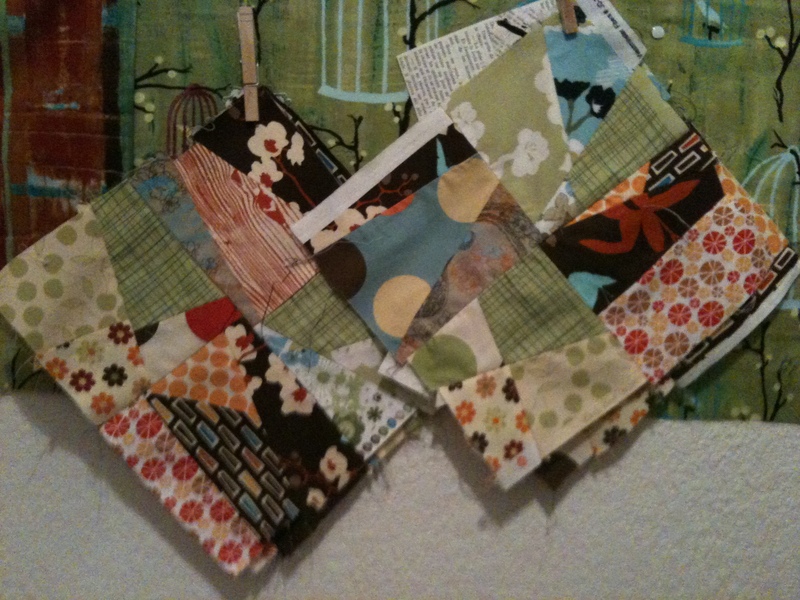 I used the “wonky” version to make these squares for my squares. 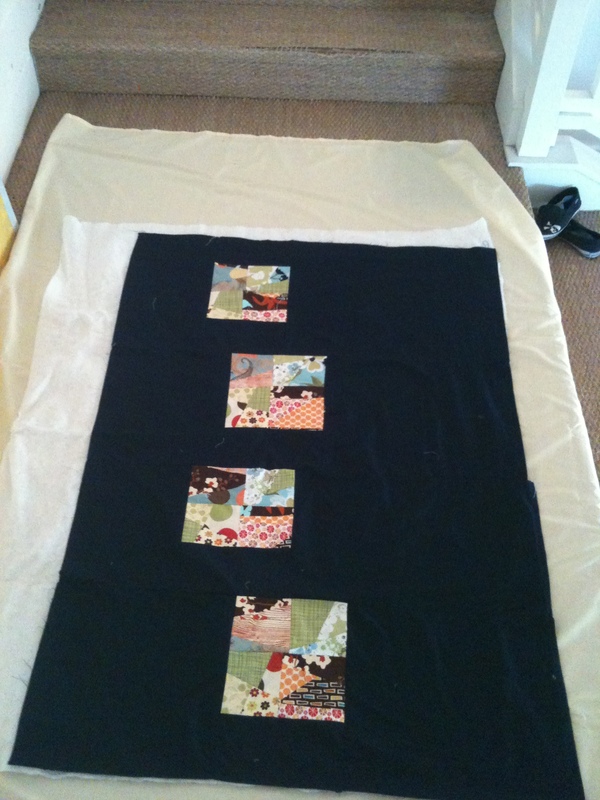 This is 4 of my wonky squares sewn together. Now on to the Knitting! You can make this smaller of course for less time. 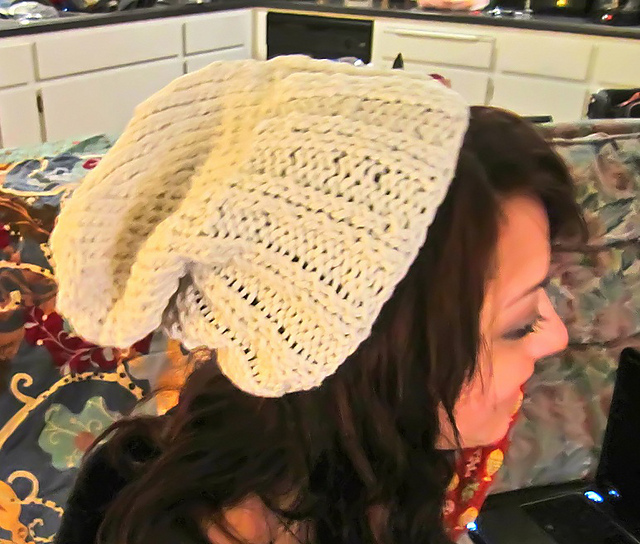 It’s basically large needles (or hook for crochet), bulky or multiple strands held together. This one she used 8 Strands. As you can tell there are 2 strips sewn together. 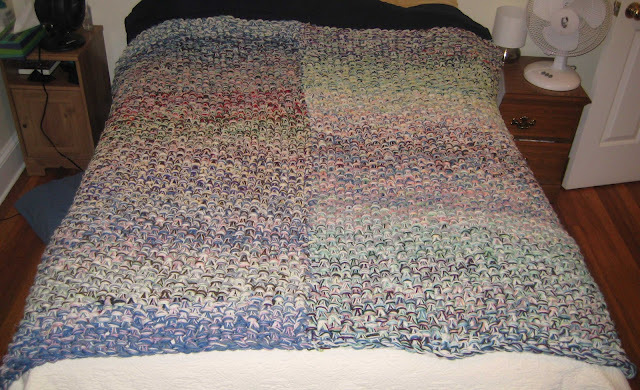 I’ve been meaning to find some discount yarn and large needles to do this for a small throw. could make it up during a marathon! This guy is really neat since it has a very quilt like look. And it’s super easy! There is even a video to help out! I plan to use my many scraps for one of these. Well, this and some mug cozies. now that bright yarn you saw earlier where I was talking about using to make a afghan. Those are going be turning into mitered squares. I have an idea with the black as a base color, but we’ll see how that goes. What’s great is this is pretty mindless knitting and can be altered rather easily. Now go get ’em tiger! 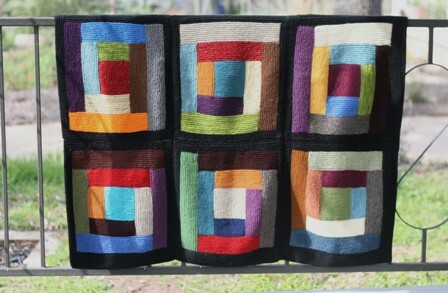 Make some awesome blankets for this winter. 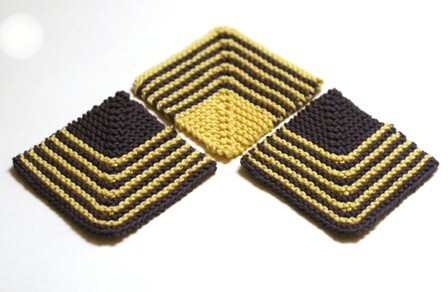 Let me know if you have any awesomely easy patterns that you know of!